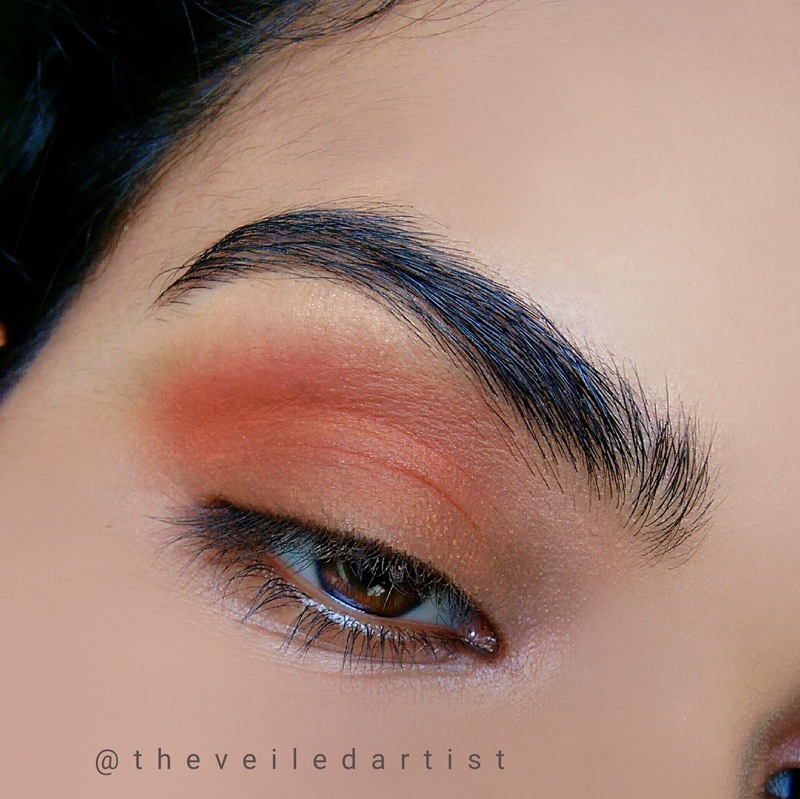 Blend the orange shade all over your eyelids and into your crease. 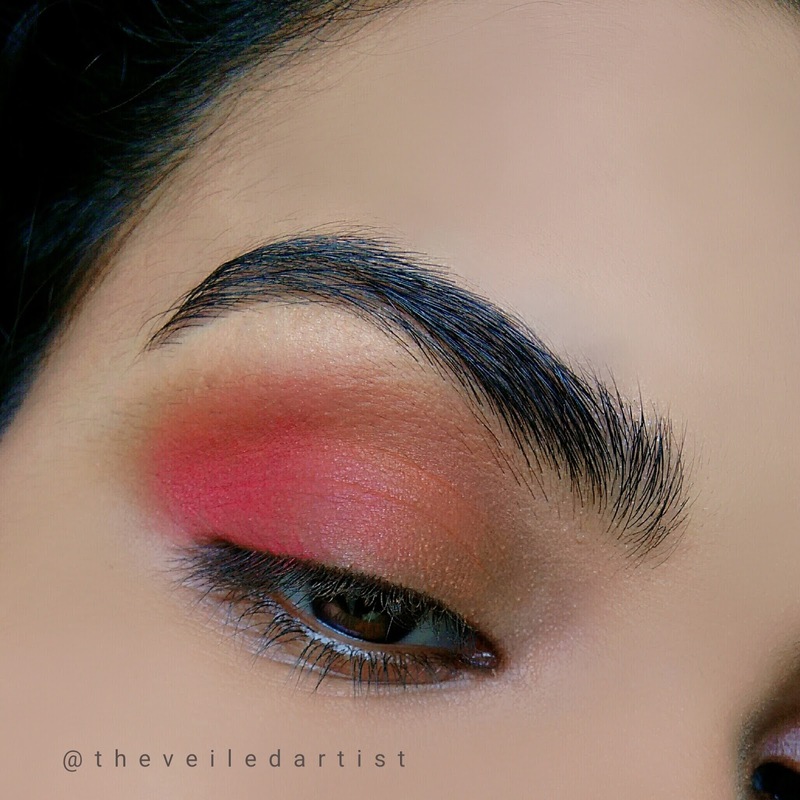 Blend the matte red shadow into the outer half of your eyelids. 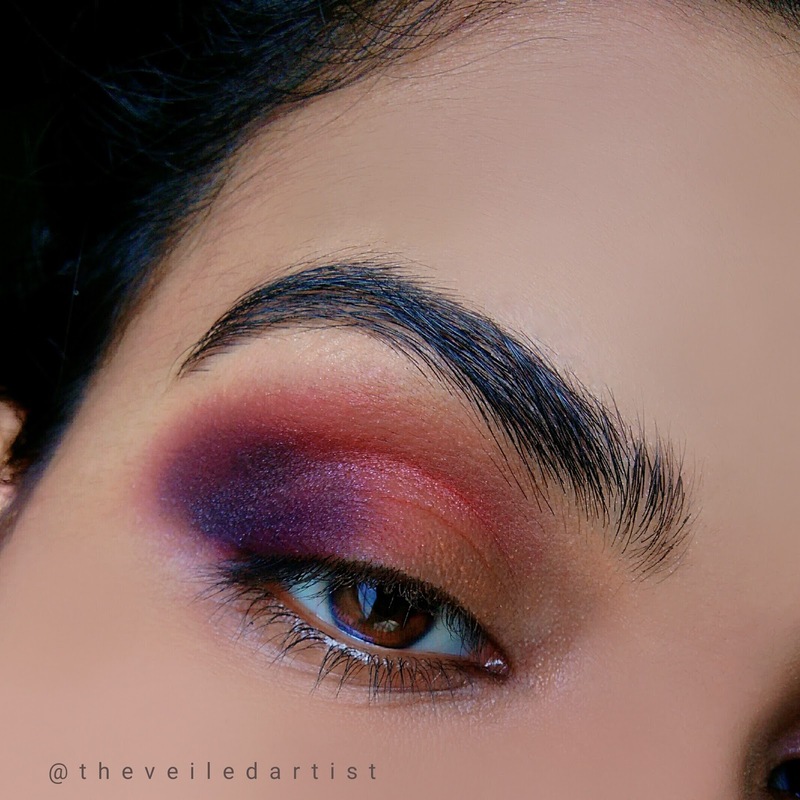 Place the deep purple shadow right over the red eyeshadow we previously used and blend it out. 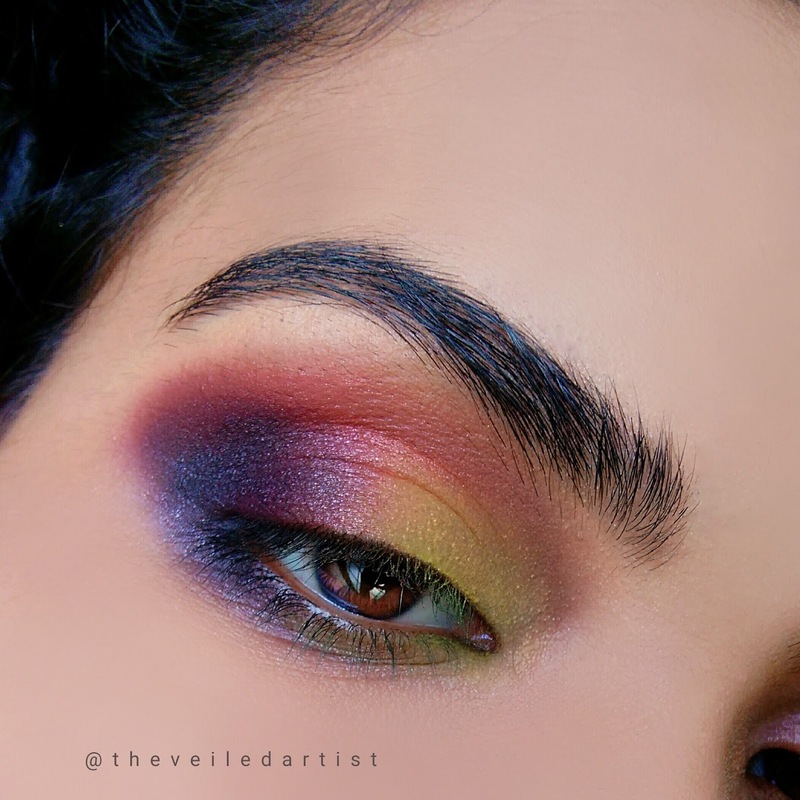 Pat some yellow eyeshadow on the inner half of your eyelids and blend it in a little bit with the purple we applied on the outer half of the eyes. 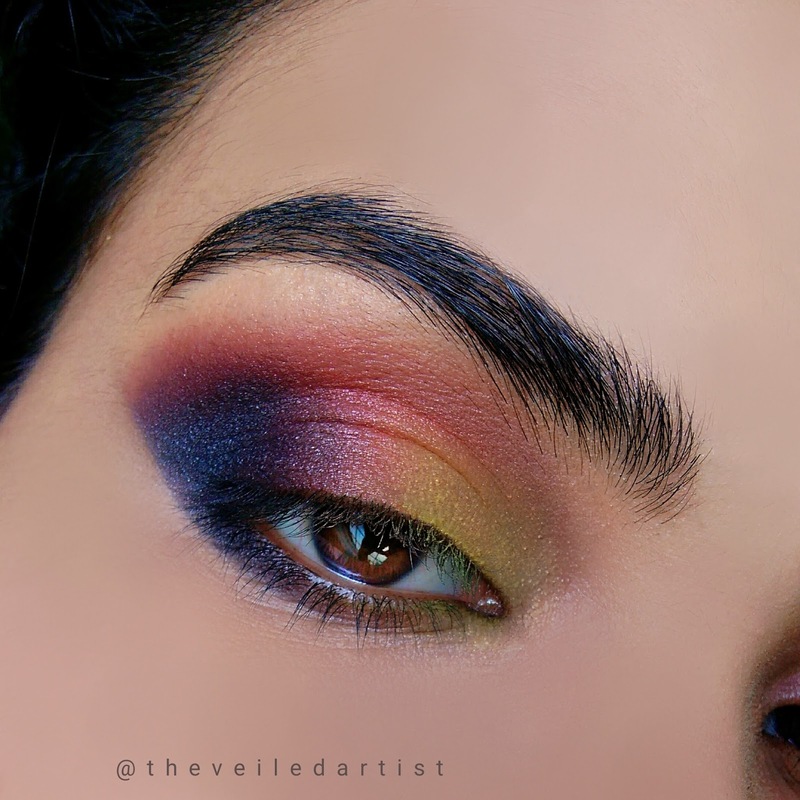 Blend some of that deep purple shade into the outer half of your lower lashline. 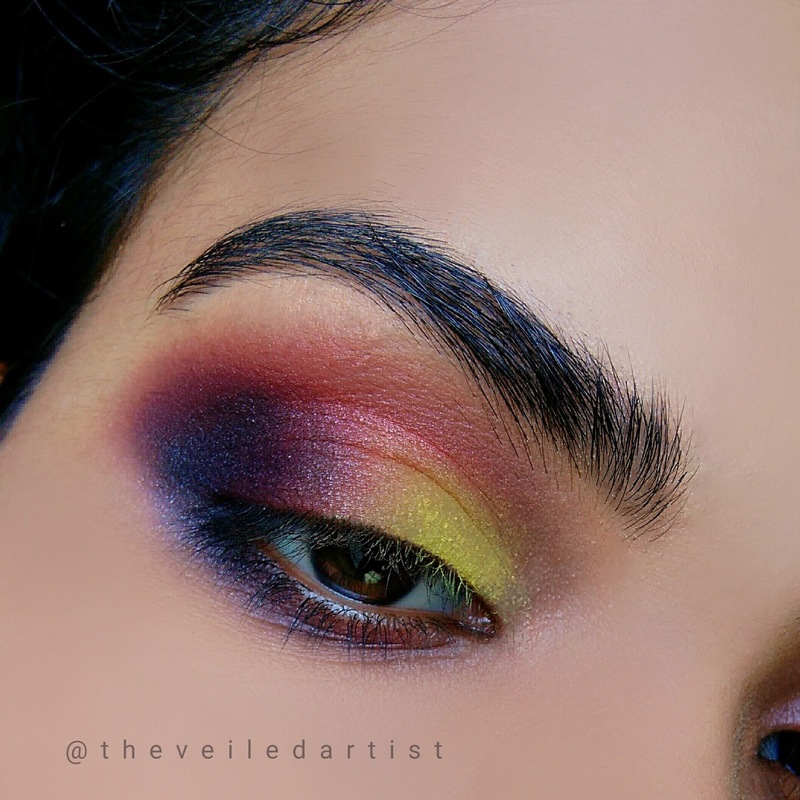 Apply the same bright yellow eyeshadow into the inner corners of your eyes and onto your lower lashline, blending and joining it with the dark purple. 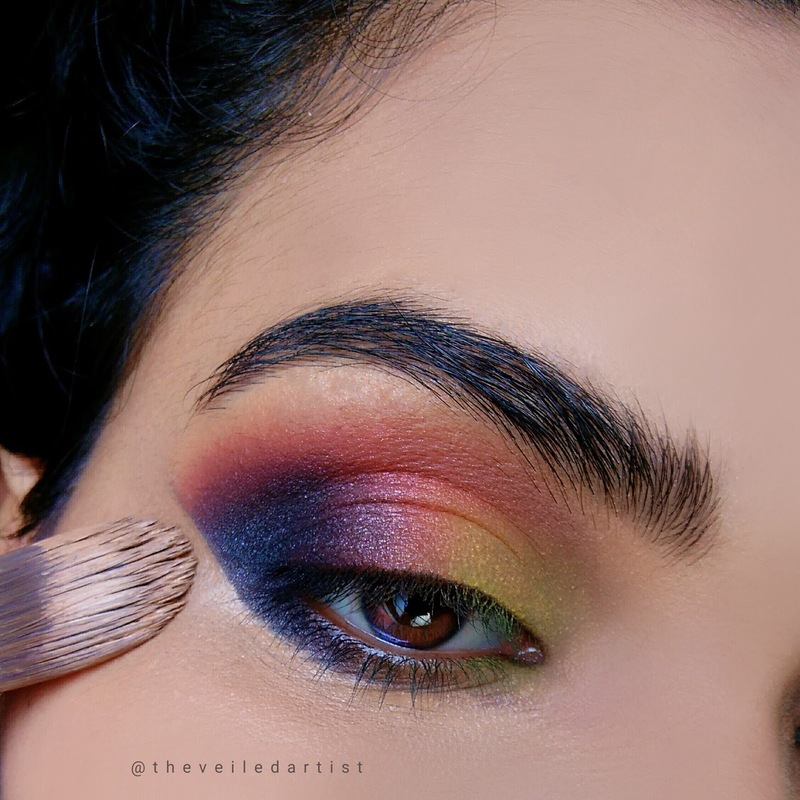 Apply foundation to clean up the eyeshadow and blend the foundation out. 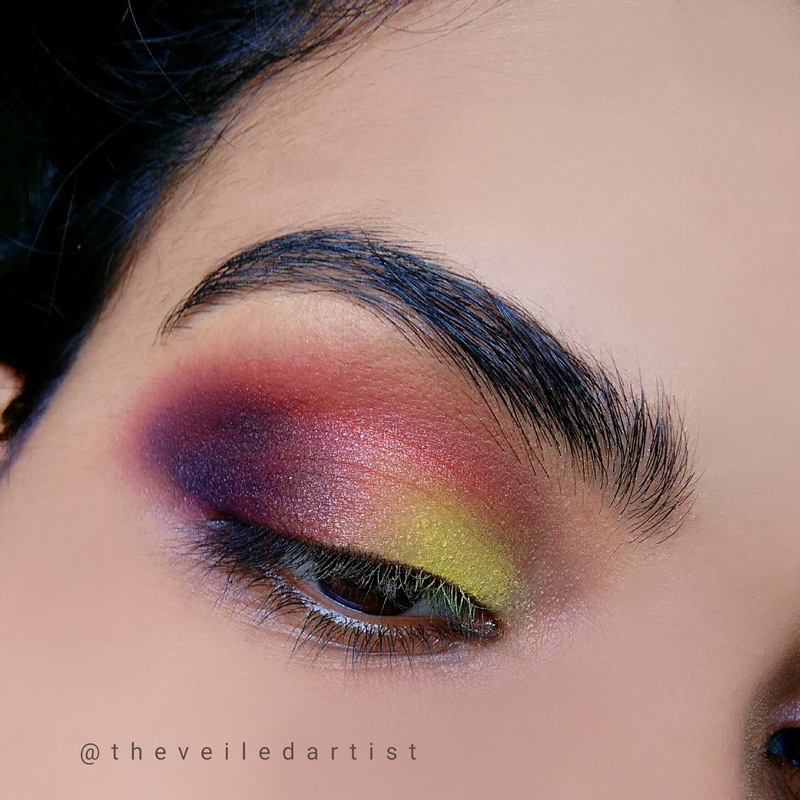 This step also gives the eyes a lifted look. 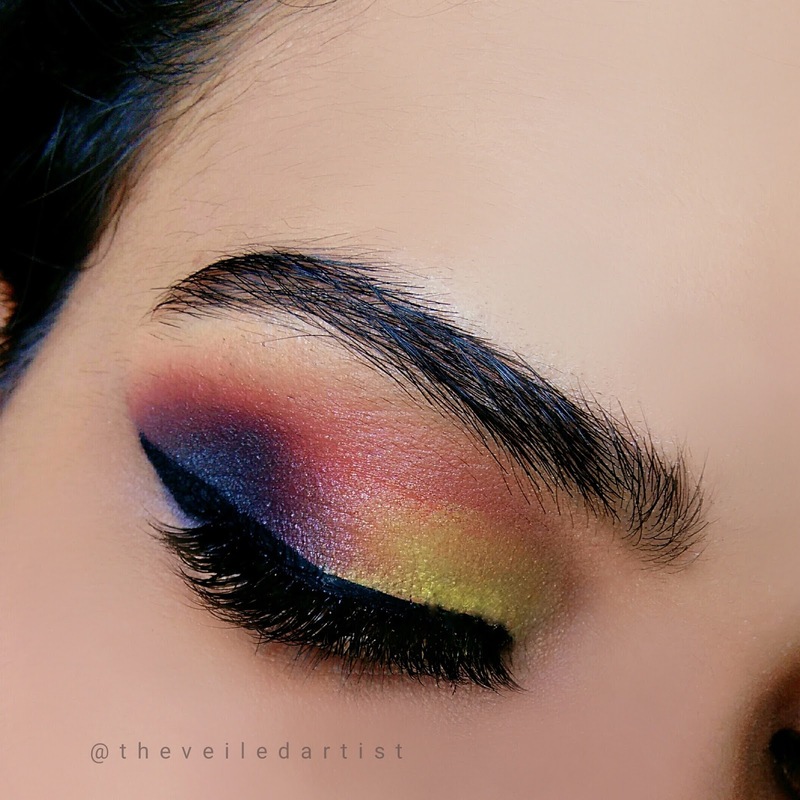 Apply winged liner and curl your lashes and apply mascara. 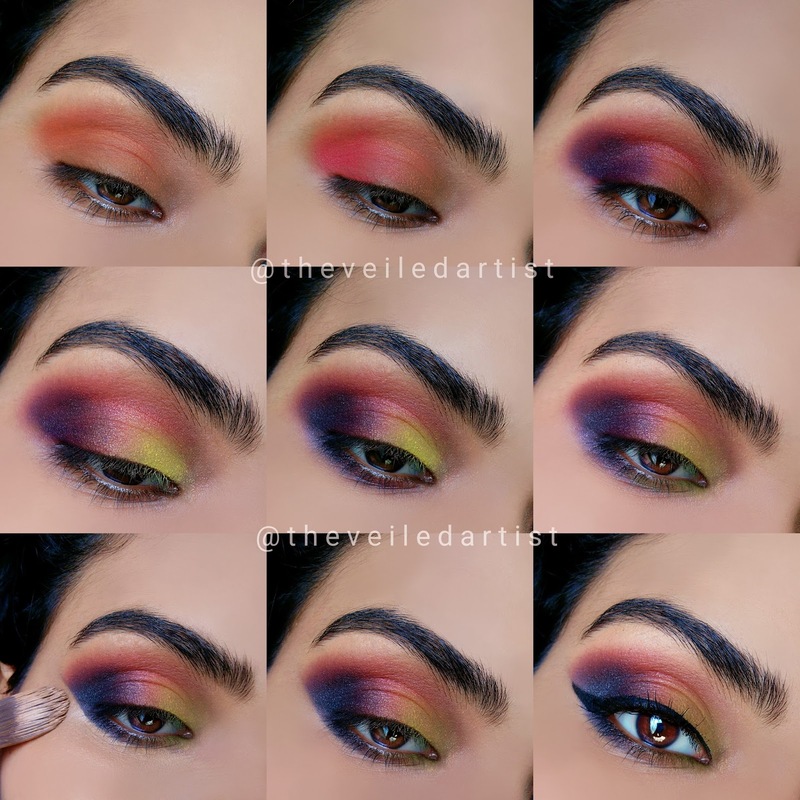 Pop on a pair of wispy false lashes! 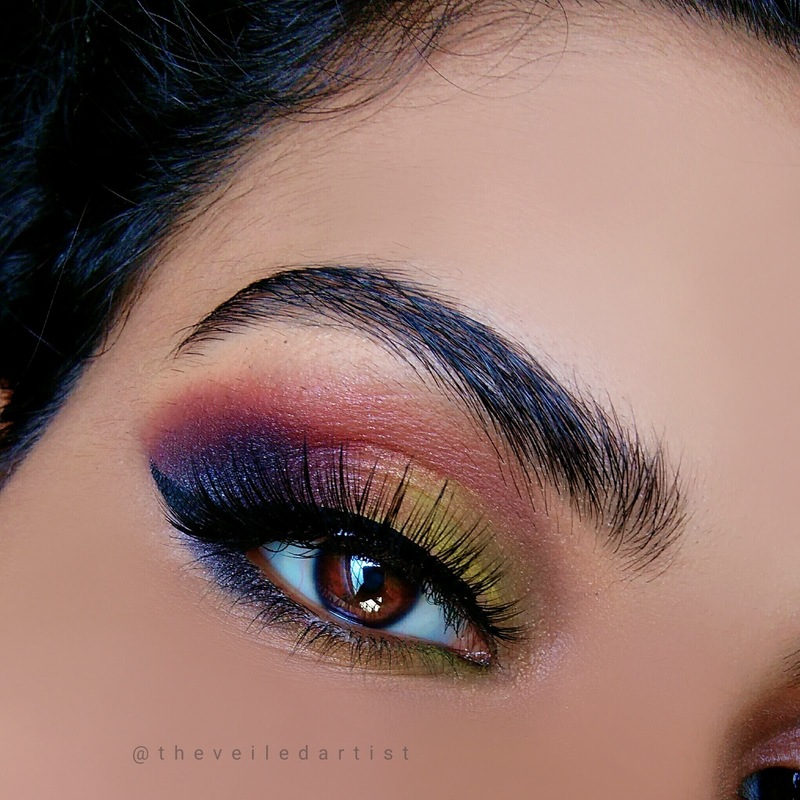 I love how the lashes added that extra finishing touch to this look!! Aaand you're done!! 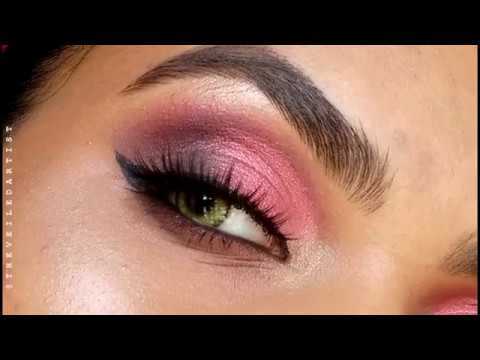 I hope you enjoyed this look and definitely try and recreate it! It's a lot easier than it looks. All the best! Have a great day/night and take care everyone. My last post was a review on the crazy affordable elf cosmetics foundation brush that I even used in today's look. Check it out here.